The slight disaster of The Children’s Book left me wanting to read something entirely opposite. I happened across Reunion by Fred Uhlman when doing some Christmas shopping in Persephone Books. It was on their table of books they wish they’d published – always a terrific selection – and caught my eye. So when I found myself home alone one evening – well I say ‘alone’, but I was of course with little Vita, who was being unusually peaceful and falling asleep on me – I decided to pick it up. In stark contrast to The Children’s Book, Reunion is wonderfully slim at barely 80 pages of large type. Scarcely an hour had passed before I’d finished it. And it was completely brilliant. It was just what I needed as a corrective to the long drawn out anti-climax of AS Byatt. 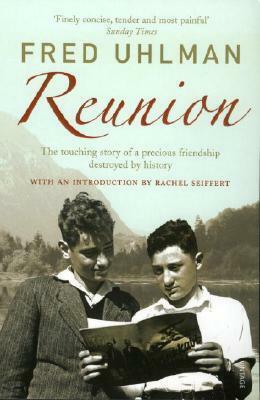 The genius of Reunion is that it poses as rather an obvious and tragic book, about a Jewish boy in 1930s Germany … but actually it’s about the much more universal theme of friendship. It just so happens that this friendship takes place in Nazi Germany. 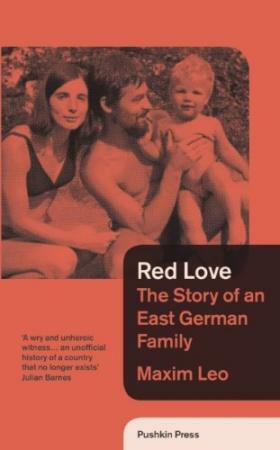 Unlike The Children’s Book, here history is in the background with the lives and emotions of the characters at the fore; here the tragedy is not the Holocaust, but the severing of a bond between two adolescents. I can remember the day and the hour when I first set eyes on this boy who was to be the source of my greatest happiness and of my greatest despair. What could I, son of a Jewish doctor, grandson and great-grandson of a Rabbi, and of a line of small merchants and cattle dealers, offer this golden-haired boy whose very name filled me with such awe? A few days later, I came to school with a few Greek coins – I had been collecting coins since I was twelve. I brought a Corinthian silver drachma, an owl of Pallas Athene, a head of Alexander the Great, and as soon as he approached his place, I pretended to be studying them through a magnifying glass. 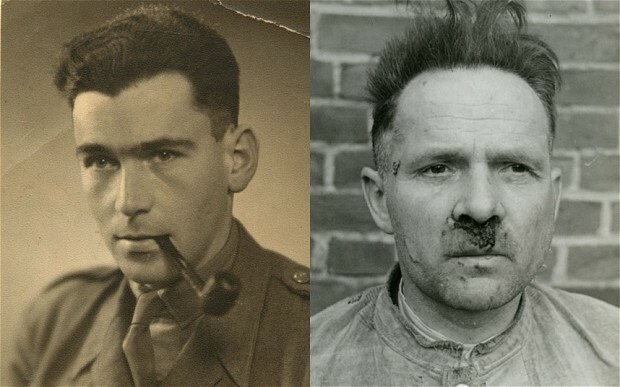 I saw Hohenfels in front of me and he seemed to hesitate and to be waiting for somebody. I slowed down – I was afraid of overtaking him – but I had to go on, for it would have looked ridiculous not to and he might have misunderstood my hesitation. When I had almost reached him he turned and smiled at me. Then, with a strangely gauche and still hesitant movement, he shook my trembling hand. 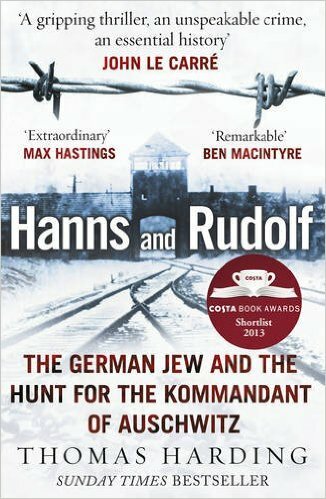 ‘Hello, Hans,’ he said, and suddenly I realised to my joy and relief and amazement that he was as shy and as much in need of a friend as I.
I can’t remember much of what Konradin said to me that day or what I said to him. All I know is that we walked up and down for an hour, like two young lovers, still nervous, still afraid of each other; but somehow I knew that this was only a beginning and that from now on my life would no longer be empty and dull but full of hope and richness for us both. It is so brilliantly rendered! That feeling of astonished relief when you realise that your idol is actually not so different from yourself, that they even seem to want to befriend you. Then that curiously blissful, exciting awkwardness of getting to know each other, the tentative first steps towards closeness. The two boys strike up an intense, naïve friendship, where they are ‘inseparable’ and passionately debate matters like the existence of God, Post-Impressionist art and the theatre. They survive being horribly embarrassed by their parents … and then perhaps I shouldn’t say what happens next as this is where the plot thickens and twists and turns and it gets very good and moving indeed. used to give money to the Jews for the assistance of Jewish children in Poland, and to the Christians for the conversion of Jews to Christianity. Reunion reminded me how something so slim can be so powerful. 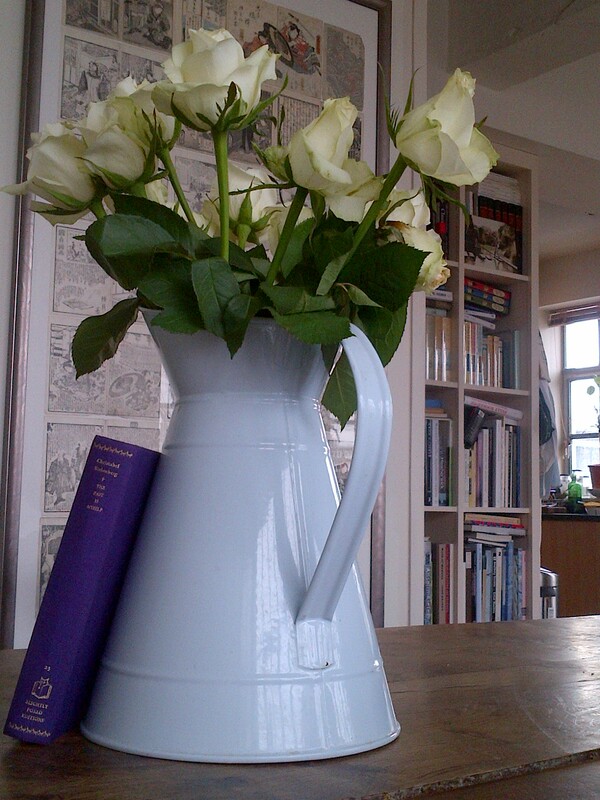 That hour’s reading made a far greater impression on me than the previous two months’ slog. I felt that Uhlman could easily have written much much more, filled pages with moments of their friendship, details of their home life and school days, but he chose to be concise. He says just enough for the reader to glimpse the most important elements of a scene and thereby get it, rather than filling in every last distracting detail. I suppose he’s not unlike the great Penelope Fitzgerald in this respect. So I shall be concise too and just say, next time you find yourself with an hour to spare, you should pick it up. Penelope Fitzgerald is one of my very favourite writers. I love the modesty of her genius – the way she manages to condense a vast amount of research into a few perfectly placed sentences, or captures a character in a single revealing moment. There is no boasting or showing off. Her slender, potent novels are about as far away as you could imagine from all those braggy, baggy monsters which claim to be ‘the Great American novel’, or ‘the voice of our generation’, or something else ridiculously self-aggrandising. Fitzgerald gives us perfect little stories, then – suddenly – you realise they are the product of an absolutely extraordinary mind. Her unassuming genius catches you by surprise. 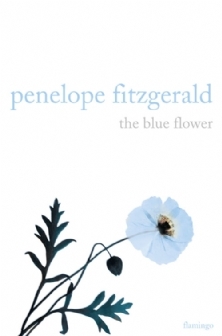 The Blue Flower – Penelope Fitzgerald’s last novel and considered by many to be her masterpiece – is about the early life of the German Romantic poet Novalis. (I’m going to be honest and admit straight away that I’d never heard of him, but I suspect that reflects my ignorance rather than his lack of fame.) Fitzgerald gives us Novalis when he is still ‘Fritz von Hardenberg’, the eldest son of a big shambolic noble family which has lost all its wealth. 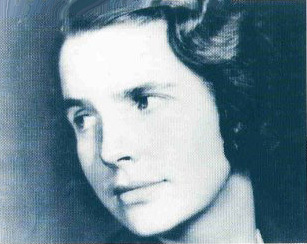 Twenty-two-year-old Fritz falls in love with twelve-year-old Sophie von Kuhn. Today once again we were alone and nothing much happened. Today we were again alone and nothing much happened. But then, quite remarkably, Erasmus too falls under her spell, just as intensely as Fritz. Even their father falls for Sophie eventually. What is it about young Sophie von Kuhn? Is it that she is an empty vessel into which they can pour all their desires, a blank canvas to be projected upon? Is it her happy innocence and joyful naivety which touches them in some way? Or perhaps this is an extreme example to illustrate the inexplicable nature of love. No one truly understands why people fall in love, so why should everyone falling in love with this simple girl be any stranger than everyone falling in love with anyone else? 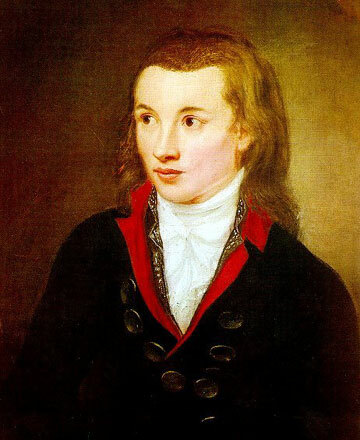 This is the opening of the novel Heinrich von Ofterdingen that Novalis actually wrote. The language surrounding the blue flower is not so different to that surrounding Sophie – Fritz’s ‘heart’s heart’. ‘What is the meaning of the blue flower?’ asks Fritz again and again. The meaning of the blue flower is hard to pinpoint, which is, ironically, the whole point. The blue flower is symbolic of a vague inexpressible yearning for the infinite, a Romantic emblem of love and striving. Before I ever knew Novalis’ story, I was interested in the blue poppy. I wanted to trace its history, and I saw one up in Cumbria. It’s extremely difficult to grow, you know; and even then, after about the third year, it goes to pieces—it changes colour. Is this novel, which purports to be about the philosophy behind German Romanticism, actually just about a blue flower? Or is the blue flower symbolic of far more than even the German Romantics thought? Jacob Dietmahler was not such a fool that he could not see that they had arrived at his friend’s home on the washday. They should not have arrived anywhere, certainly not at this great house, the largest but two in Weissenfels, at such a time. Dietmahler’s own mother supervised the washing three times a year, therefore the household had linen and white underwear for four months only. He himself possessed eighty-nine shirts, no more. But here, at the Hardenberg house in Kloster Gasse, he could tell from the great dingy snowfalls of sheets, pillow-cases, bolster-cases, vests, bodices, drawers, from the upper windows into the courtyard, where grave-looking servants, both men and women, were receiving them into giant baskets, that they washed only once a year.